Web Desk: One of the most popular star kids on and off the internet is, Shah Rukh Khan’s eldest son, Aryan Khan as most of his Instagram posts end up going viral. Aryan Khan was spotted by paparazzi in Bandra leaving a party. 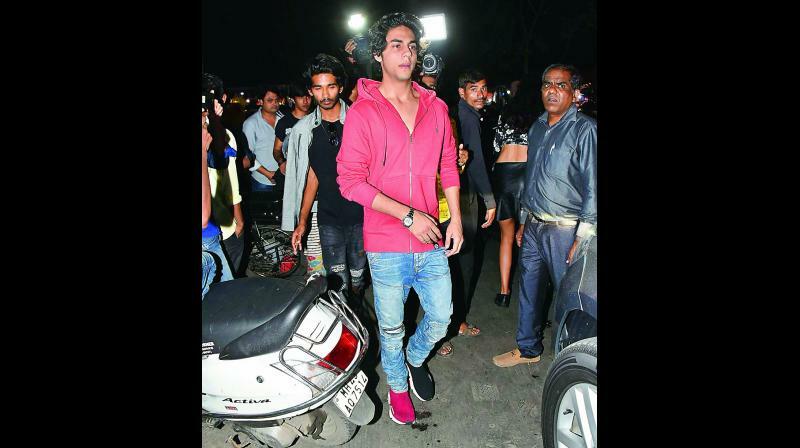 While leaving the venue and reaching for his car Aryan Khan was approached by two beggars. He put his hand in his pocket and without even checking the amount he handed it over the kid beggars. This video of him going viral on internet. Nextly, Aryan was spotted dinning out with a few of his friends, wearing a pair of mismatched Balenciaga trainer shoes which were red and black in color. Shoes were firstly spotted on a family vacation where he was seen posing with his superstar father and younger brother AbRam. His mismatched shoes have taken the Internet by storm and created an instant trend. On her career front, he is focusing on his academy and is yet to make an appearance on the silver screen.